Officially known as the State of Rhode Island and Providence Plantations, Rhode Island has the longest official name of any of the states, although it is the smallest in terms of land area. However, the state is known almost exclusively as Rhode Island. 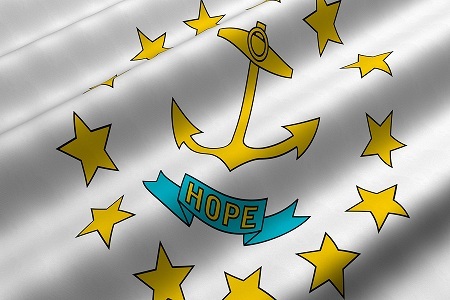 The first of the original Thirteen Colonies to declare its independence from Britain, Rhode Island was the last of original colonies to ratify the United States constitution. Despite its name, Rhode Island is not an island. Its name was the result of a merger of two settlements: Providence Plantations and the Rhode Island colony, which was situated on Aquidneck Island. The capital of Rhode Island is Providence. England, in the 1600s, was not a place of religious freedom. In fact, it was not unusual for those who held beliefs deemed contrary to the official church to be imprisoned, tortured, or killed, and often all three. Many of those who came to the American colonies did so in order to escape persecution, and among them was a man named Roger Williams. Roger Williams was a controversial figure. Although he had been ordained in the Church of England, his Puritan views put him at odds with the official church, so he migrated to New England in 1631. Initially, Williams was warmly welcomed in Boston, as there were then few godly ministers in the Massachusetts Bay colony. He was invited to occupy the pulpit of Boston's only church, but he declined. Soon, however, he found himself in difficulty with the authorities in Boston as well, because he criticized one of their churches for maintaining ties to the Church of England, believing that the godly should separate themselves from the ungodly, and that there could be no middle ground. "This middle walking is no less than halting," he wrote. "How can a man walk with an even foot between two extremes?" There were other elements of the Massachusetts Bay Colony that offended him, as well. He learned that his fellow Christians had stolen their land from the Indians. They had neither purchased it or traded for it -- they simply took it, and he believed strongly that this was unChristian. The Puritan leaders argued that they had taken the land by Charter right bestowed by King Charles I, but Williams insisted that the king had no right to give that which he did not own. Williams also held the view that the government of the colony had no right to interfere with the religious beliefs of individuals within the colony. For preaching against the authority of the Puritan magistrates, Williams was expelled from the Massachusetts Bay Colony in 1635, along with those who followed him, although he left a wife and small child behind. In time, they came to Narragansett Bay, where he purchased land from the Indians, whose language he had learned. He founded a community that he named Providence. As Williams believed that no government had the right to judge the convictions of a man's soul, Providence Plantation was, from the start, a place that offered religious liberties to those who had been persecuted elsewhere, one in which there was a separation of church and state. The surrounding colonies had formed a common alliance to defend one another against hostilities from the Indians but, as Williams and Providence Plantations were still at odds with the neighboring colonies, they were afforded no such protection. The reason they gave was that the Providence colony had not obtained a charter from England. Roger Williams sailed to England to obtain a charter, which was granted by the British Parliament on March 14, 1643. Controversy accompanied Williams throughout his life, however. In time, he abandoned Puritanism and founded what was to become America's first Baptist church and, still later, his views moved even further from churches and established creeds. The town became the City of Providence and Providence Plantation became Rhode Island, the most religiously tolerant of our nation's early states. Organized to promote the state's business community through providing leadership initiatives, the official site of the business membership organization explains the benefits of membership, and provides a business directory, events calendar, and staff profiles. Also featured are tourism and relocation information. The official state site for tourism offers suggestions on places to stay, do and see within the state, including separate areas describing the seven designated tourism regions in the state. An online trip planner, maps, and travel offers can also be found here. The state agency charged with providing workforce protection and development services offers details about labor and workplace laws and regulations. Online services include the filing of unemployment claims, appealing decisions, checking licenses, and posting jobs. Facts and a history of the state are provided on the official site of the state government, as well as profiles of cities and towns within the state, and a directory of state agencies. Online resources include licensing and registration applications and renewals, vanity plate reservations, and business filings. The state's primary law enforcement agency, on its official site, provides crime statistics, information on job opportunities and recruitment, and citizen alerts. Also describes and promotes the Rhode Island State Police Museum. On its official site, the office of the state's chief attorney presents significant legislation and issues, offers reports, and a biography of the Attorney General. Forms, with instructions, are available for filing consumer complaints, and for applying for various licenses and permits. Search for Rhode Island on Google, Bing, or Yahoo!